Our ‘meet the team’ series focuses on our company and the people who make it great! We know that entrusting someone with the task of building your dream home is a very difficult decision to make. Therefore, we believe that you should get to know each of us and find out what makes us tick! Our reputation for great service is due, not only to our qualifications and experience – but our passion. Today you will find out more about Joanne, a graduate Architectural Technologist who joined our team last year. 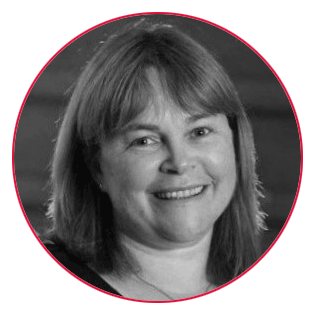 Last year our team was strengthened by another talented Technologist – Joanne. She originally graduated in 1991 with a B.Ed. in Primary Education and worked in several schools in Scotland and England until 1997, whereupon she took an extended career break to raise her 3 children. The moves were associated with her husband’s employment, which also led them to spending 4 enjoyable and interesting years in Calgary, Canada. During this time, she developed an interest in interior design and, subsequently, architecture. On her return to Scotland, she commenced studying a B.Sc. in Architectural Technology at Edinburgh Napier University, in preparation for returning to employment once her children left home. Read our interview below to get to know her better. Joanne is the first (of hopefully many) who joined ACA’s Graduate programme, ran by Senior Technician David Macfarlane & Allan Corfield. The 2 year in-house training programme, gives recent graduates an opportunity to gain vital, on the job experience. I UNDERSTAND THAT ARCHITECTURE WAS NOT YOUR FIRST PROFESSION AND YOU PREVIOUSLY WORKED AS A PRIMARY SCHOOL TEACHER. COULD YOU TELL US A BIT ABOUT WHY YOU DECIDED TO CHANGE TO A CAREER IN ARCHITECTURE? I was a primary teacher many years ago, prior to having my children, so it’s been a long process to finding my way into architecture. I was a ‘stay-at-home mum’ for around 20 years and in that time I dabbled in many interests and courses, one of the most influential being an interior design course. It was while doing this, and various house renovations, that I realized I really enjoyed the designing of spaces. When planning what I wanted to do when my children left home I discovered a degree course at Edinburgh Napier University, BSc Architectural Technology, which offered a fantastic combination of the design and theory of architecture and construction. I thoroughly enjoyed this course and by doing it part-time, over 6 years, it brought me to this point; when my children were looking to their own futures and I was ready to embark on my new career path. A QUICK SUMMARY OF YOUR CAREER AFTER YOU GRADUATED UNTIL YOU JOINED ACA (STUDIES, PROJECTS, PLACEMENTS, JOBS). I graduated in June 2017 and secured my first job with Assist Design in January 2018. Having never worked in an office environment before, my experience at Assist Design was instrumental in teaching me the ways of an office as much as introducing me to the processes of an architectural practice. 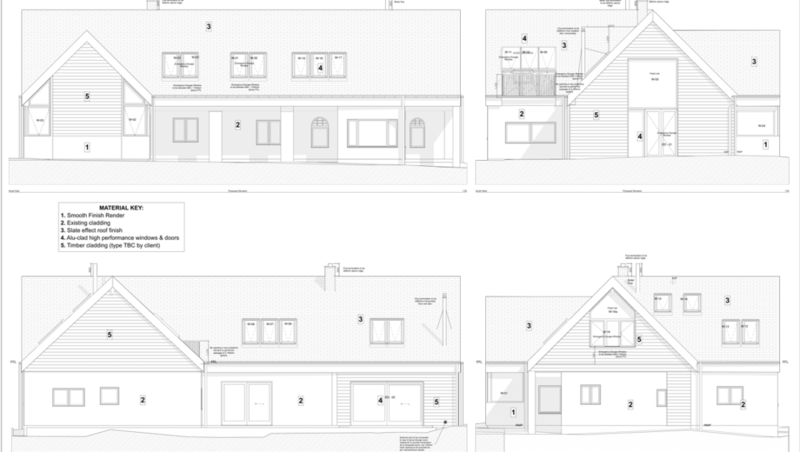 I gained invaluable experience in working up the drawings for their current projects within the residential care home sector and becoming more familiar with the building regulations for such projects. WHY DID YOU WANT TO WORK AT ACA? Having lived in generic new build homes all my life, and bringing up my own family in such homes, I realised the limitations they invariably pose to family living. As a result, I wanted to work in this area with the hopes of making a difference by using my experience and new found skills. 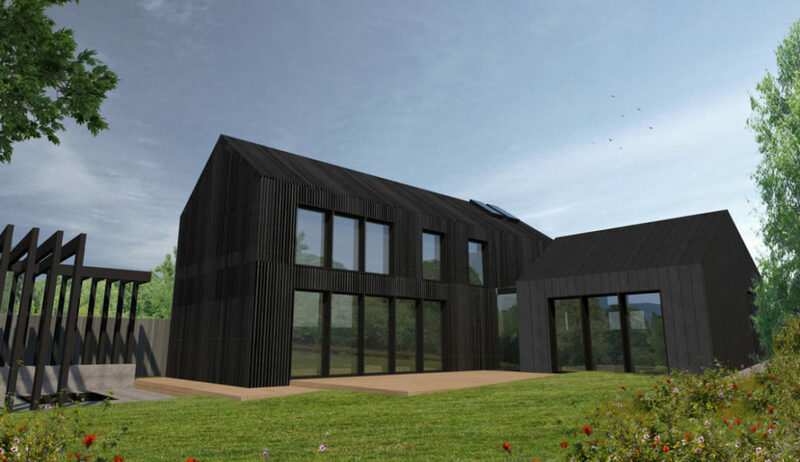 I came across ACA as part of my desire to build my own home one day and was inspired by their work in the sustainable self-build industry. I really wanted to work with them; to learn all I could from their expertise, but also to hopefully offer my own experiences and opinions one day to the clients, whom they work closely with. WHAT, IN YOUR OPINION, IS ACA’S STRENGTHS AS AN ARCHITECTURAL PRACTICE? I believe ACA are experts in the area of self-build and what’s amazing is that they willingly want to share this expertise. 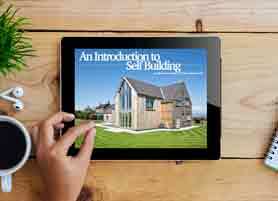 They freely give out information about how to do a self-build and use as many social media forums as they can in order to teach people. This helps to take the mystery and fear out of the process and should help promote this aspect of the housing market. 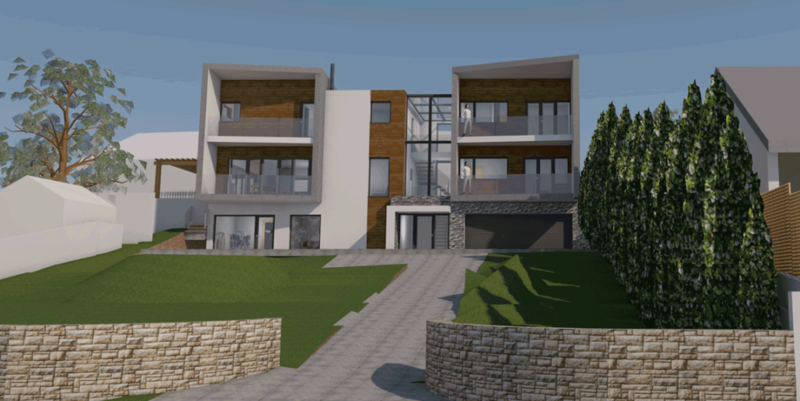 DO YOU LIKE WORKING IN DESIGNING RESIDENTIAL ONE-OFF HOMES? WHAT DO YOU LIKE ABOUT SELF BUILDING? 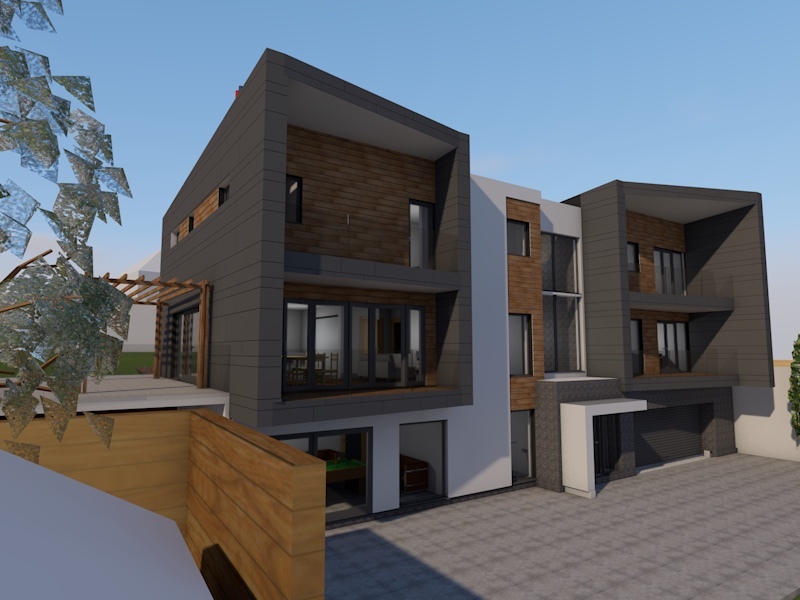 I love working in designing residential one-off homes. I find it exciting and challenging; exciting that a client can determine what’s important to them in creating their perfect home, and then challenging to design that dream following the relevant building standards. It’s like solving a puzzle! 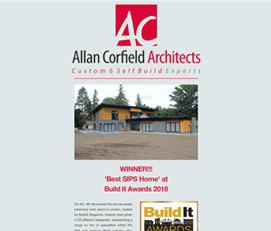 I like the flexibility that self-build can offer clients. Everyone has a different opinion of what makes a good home, what looks attractive and the spatial arrangement can vary because every family works differently. 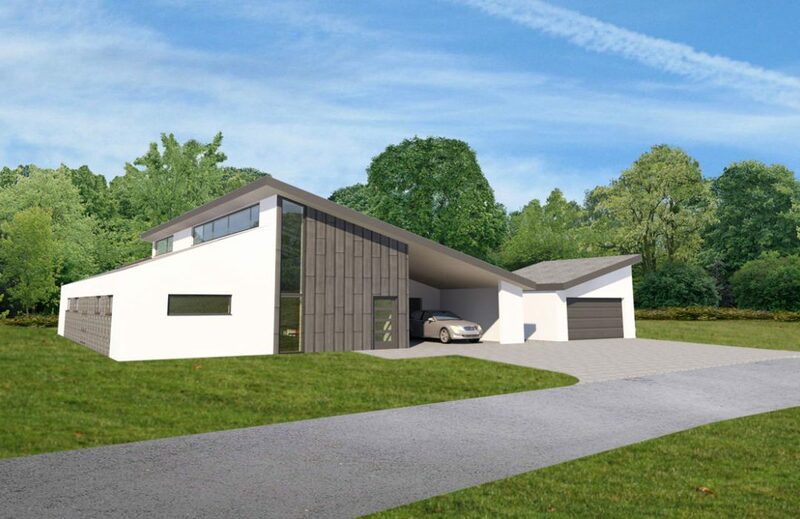 For these reasons, working in the self-build sector is fun, exciting and challenging. DO YOU PURSUE YOUR ARCHITECTURAL INTERESTS WHEN YOU ARE NOT AT WORK IN ANY WAY? When time permits, I try to go to CPD events, many of them organized by CIAT (Chartered Institute of Technologists) of which I’m a member, in order to keep up to date with the latest technologies. In fact, it was at an event about CLT (cross laminated timber), that I first met Allan (Corfield)! I also subscribe to various magazines from the industry and when I’m on holiday (and my family allows me to) I like to go on architectural tours of the places I’m in. I had an enjoyable tour of Toronto the last time I was there and I particularly enjoyed visiting Villa La Roche, by Corbusier, the last time I was in Paris. I had studied this building in depth during my degree. TELL US SOMETHING ABOUT WHAT YOU DO WHEN YOU ARE NOT AT WORK. WHAT DO YOU DO IN YOUR FREE TIME? Having spent many years in and around the home, I have had the opportunity to pursue many interests. Currently, I am part of a book group, sewing bee, St. Michael’s Church of Scotland and the local netball team, the Linlithgow Flyers. Crazily, I also decided to learn to play the trumpet when I started my degree and I have recently transitioned from the Linlithgow Reed’s Training Band to the Main Band and I am looking forward to taking part in their numerous engagements in the coming year, none more so than marching from 7am until 5pm on Linlithgow Marches Day in June! If you have any questions for Joanne feel free to contact him on joanne@acarchitects.biz.